The Pattern Trend How to Guide! Patterns in a home… now that is something not everyone will agree to! They can be daring and different in a variety of colours, textures and shapes, or patterns can be subtle, in neutral shades with simplicity. You may have your own feelings about this growing trend, but we are here to show you that adding a splash of imagination and funky shapes to your home… doesn't mean it needs to look straight of the 1970's, unless that's the look you are going for! The patterned trend is back and it's so much cooler and vibrant than ever before! This Ideabook compiled by the homify team will show you just how to add this nostalgic trend, without overwhelming your entire home! So let's get started. 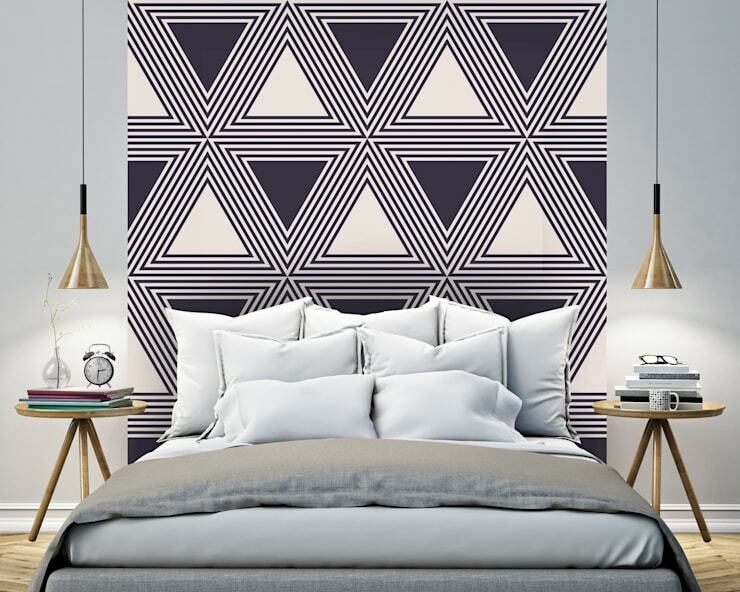 First up on our agenda is adding a vibrant patterned wall to the bedroom. This is an idea that is gaining popularity, with many opting for a focal wall in their master bedroom. 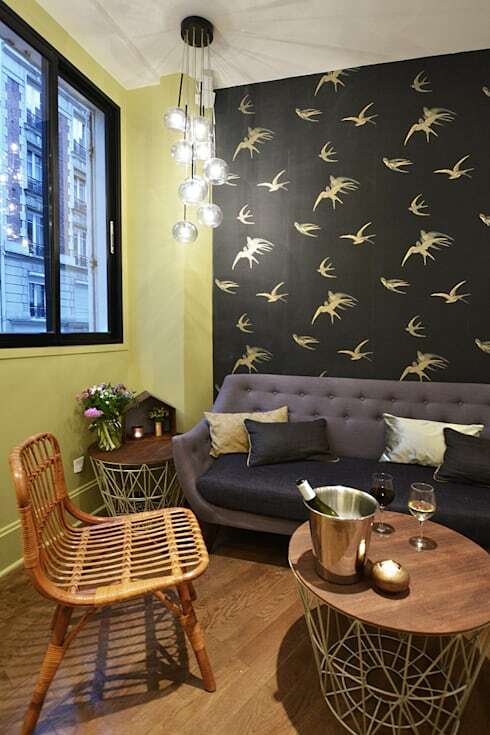 Although this colour palette is relatively neutral, the large funky graphic is what adds the ultimate wow factor. This headboard option is attractive and definitely shows off the personal style of the home owner, so why not go for something different and exciting in your stylish bedroom? It's easy on the eye, but captivating at the same time… almost hypnotic! Don't you think? If you are worried about adding too much pattern in your home, then there are simpler and subtler options available for you. How about adding a monochrome edge to your living room with the addition of this classic yet retro style rug? If its colour you're after then not to worry… the addition of patterned yellow and white scatter cushions adds just enough creativity and style to make your home comfortable and personalised! It's an interior decor style that will add character to any home. It's not often that we see a mix of colours and patterns, but this bathroom has done it perfectly! 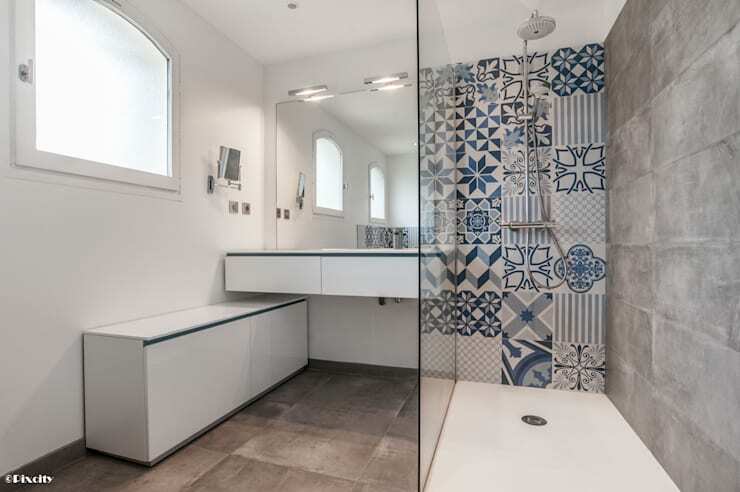 While the rest of the bathroom remains clear of all patterns, the tiled wall adds an almost Portuguese stylish flair to it… attractive and classic. And while this stylish design is a mix of a few traditional patterns, it seems to work well as a bathroom wall mosaic, especially in the shades of ocean blue that is surrounded by all-white walls, fixtures and furnishings! It's a modern take on the traditional style and it works perfectly! For a smaller home that is need of a modern revamp, how about this fantastic idea! Use different strips of wallpaper of sticker motifs on each step to create a stylish effect that mixes patterns elegantly. 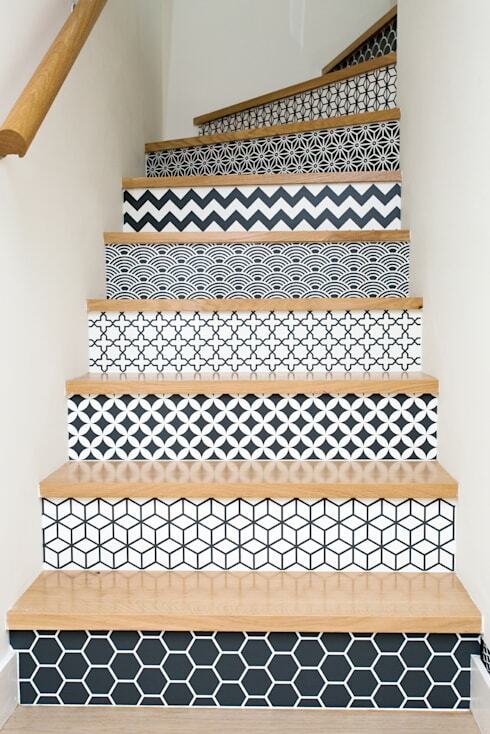 Who says the same pattern needs to be included throughout a home anymore? The old rules have fallen away and made way to an exciting no holds barred style! The design by the expert team at 19 Degrees gives a personal take on the usual black and white colour scheme with originality and elegance taking preference to create this masterpiece home decor element! We can honestly say that this patterned approach takes home decor and style to another level! So you may still keep those old style values of only three shades to create a harmonious interior, but that's not a problem! With the addition of some amazing wallpaper you can still include only three shades in your home decor, but add some attractive style too! This excellent design is a perfect mix of pattern, neutral and plain wall decor with just enough retro chic style to make it comfortable! If you liked this idea, but want something with a bit more texture, then how about this Ideabook that features: Beautiful Plaster Decor Ideas. 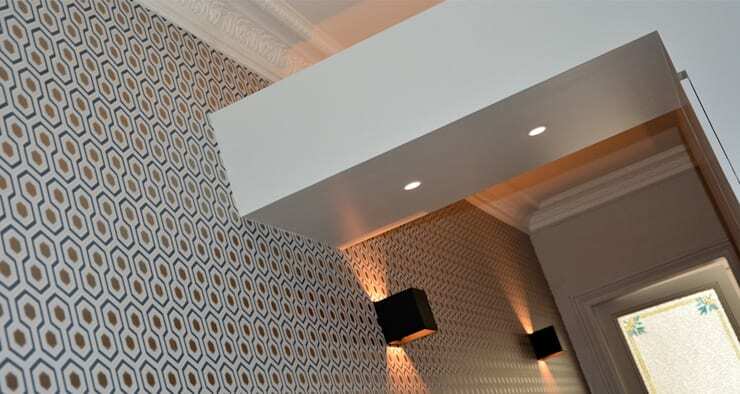 So you appreciate the retro and classic styling of wallpaper and you always adored your grandmother's taste?! That's not a bad thing! Nostalgic wallpaper of the bygone years are making a big comeback! Anything from flower bouquets to arabesque style and even hounds tooth will make your home look amazing! Traditional styling is more than the things you saw in your grandmother's house… it's now taken a simpler and more modern approach for everyday living. Something you won't get tired of in a few days or weeks! So let's get some wallpaper ideas going! 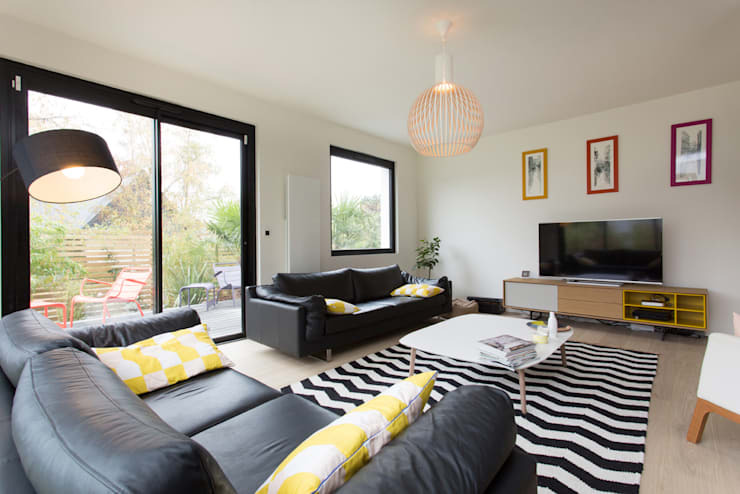 We end our Ideabook today with a look at how graphic patterns such as this monochrome floor can make a vibrant addition to your home. Whether it be in your kitchen, bedroom or living room… adding decor to your interior is a personal choice. Regardless of the colour scheme, the choice of texture and even the pattern. The sky is limit with modern design and the old rules no longer apply. So go on and mix your two favourite colours that are on opposite ends of the colour wheel and see what amazing home decor results await! Have you included the patterned trend in your home? How did that work out for you? Do you like any patterns here? Let us know!